ET19KV Enter Tech, the leading karaoke system company introduces the new ET19KV karaoke mic. 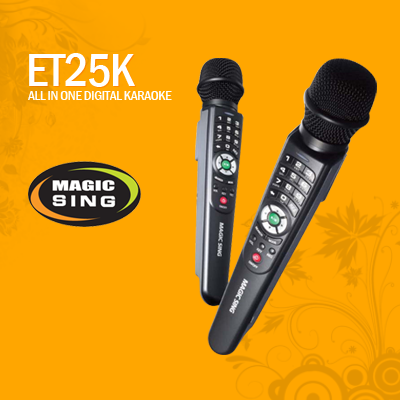 This mic is perfect for anyone who seeks a karaoke product with a rich sound quality and high performance. You can select and enjoy singing your favorite collections of songs whenever and whereever you desire. Duel Mic & User Friendly Remote Control! Plug your MAGICSIGN to any TV and enjoy the complete karaoke system instantly.